Over the past few years, grocery delivery services have gained massive popularity. The idea of having entire, ready-to-cook meals delivered your door on a weekly basis is very seductive for those of us who are always on the run. 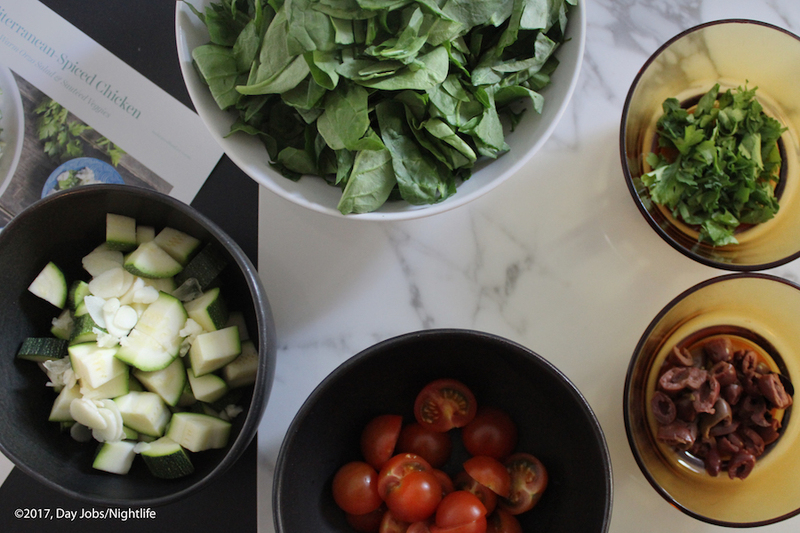 Preparing healthy meals, cooked with fresh ingredients every night can be time and energy consuming, and the availability of instant, over-transformed foods right at your fingertips makes it easier to choose quicker options that require little to no cooking. GoodFood offers an interesting alternative. The GoodFood service works in three steps. First, you choose your dietary preferences (this is also where you would notify the company of any food allergies, although GoodFood does not recommend using the service if you have a serious food allergy as everything is packaged in the same facility.) 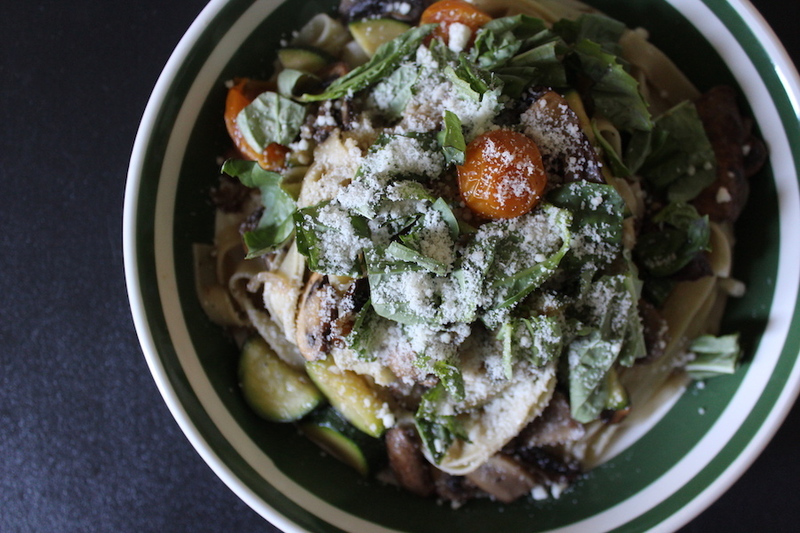 Your GoodFood boxes are then delivered to your door on a weekly basis. 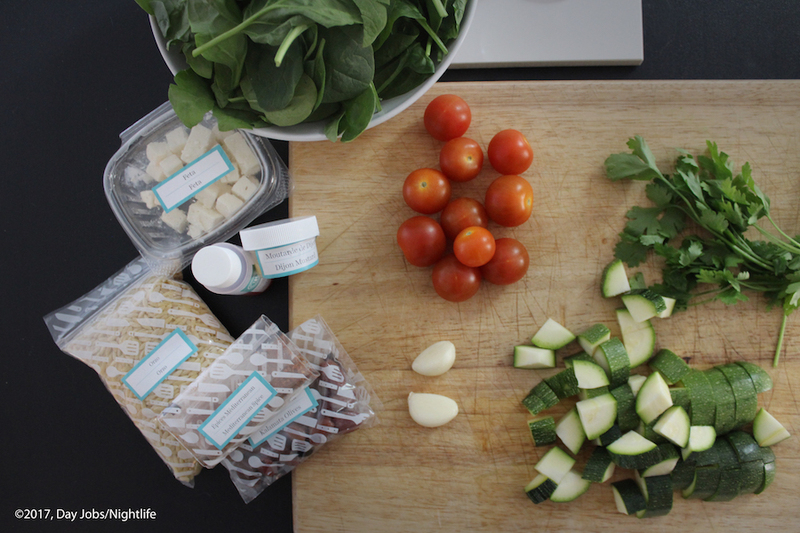 Ingredients are packaged in refrigerated boxes, so food can stay fresh on your doorstep when you’re away from home. From there on, all there is left to do is to cook! 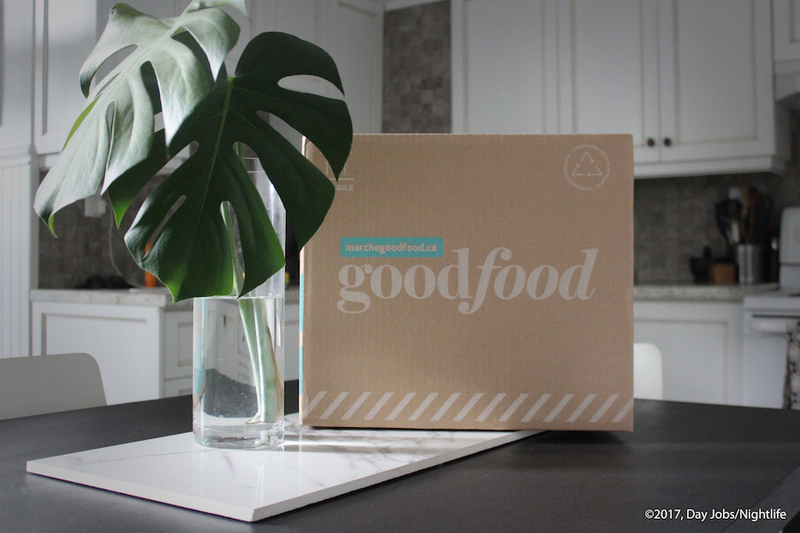 We received our first GoodFood box last Tuesday. The doorbell rang, and a friendly delivery guy handed over a big box with bright blue accents and elegant branding. As we were curious to see what was inside, we opened it right away. The box contained three meals, which were separately packaged in transparent bags. Inside each of those bags were the ingredients, also neatly packaged and clearly labeled in French and English. We received three recipes: Mediterranean-Spiced Chicken, Fettuccine Primavera and Spiced Beef & Bean Arepas (a South American specialty). 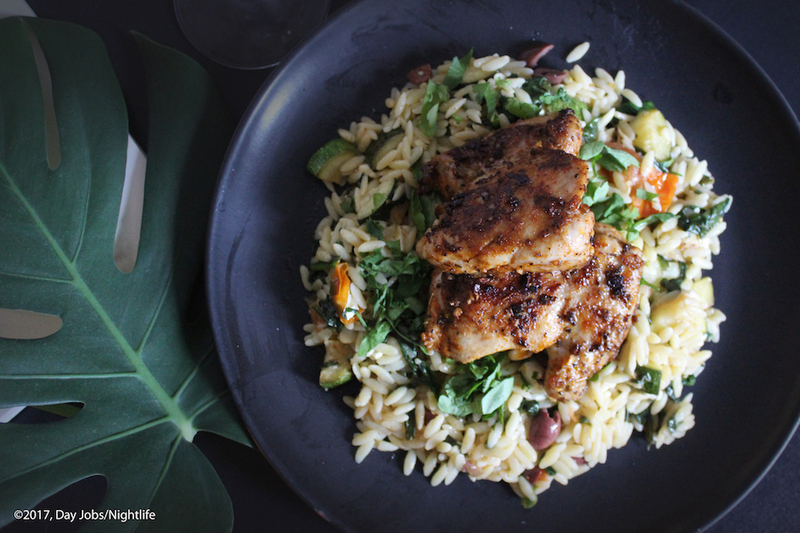 Seeing as we can never say no to poultry, we started preparing the Mediterranean-Spiced Chicken, which was served with a warm orzo salad and sautéed veggies. A quick look at the recipe made it pretty clear that the preparation of this meal was going to be a lot easier than it looked. The instructions were clear, well presented and very easy to follow. Considering that all the ingredients were already packaged in the right quantities, all there was left to do was chop, cook and serve. 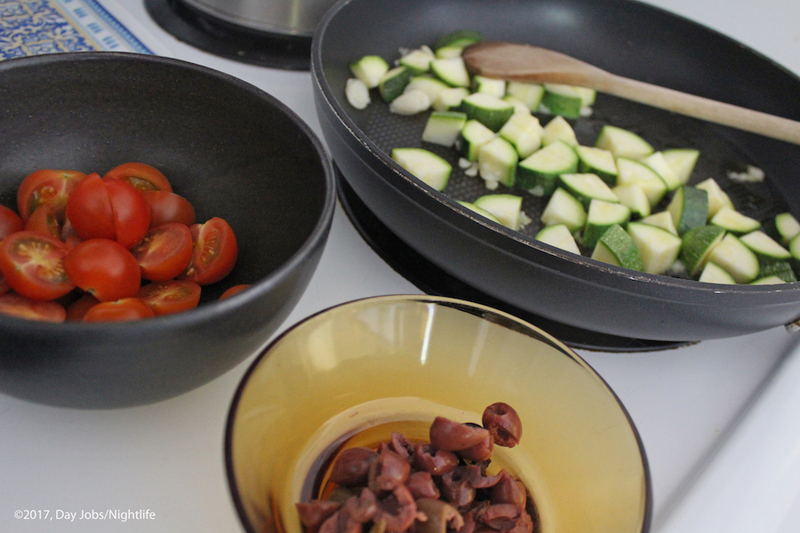 The whole cooking process took roughly 30 minutes, which was exactly what the recipe’s estimated cooking time called for. The preparation of the meal was very simple and the instructions were clear enough that even the most unexperienced cooks could successfully complete the recipe without any trouble. The Mediterranean-Spiced Chicken was a complete success. The chicken thighs were juicy, perfectly seasoned with a mix of garlic, cumin, black pepper, salt, oregano and basil and left us wanting more. The orzo salad was equally delicious, packed with sautéed cherry tomatoes, zucchini and spinach, and topped with fresh feta and kalamata olives. The pairing of the chicken and the salad was very tasty, and we finished up our plates thinking that we could’t wait to try the recipe again, especially considering how easy it was to put together. Now, some of us eat a little bit more than others, and adding a chicken thigh or two wouldn’t have been a bad idea considering how small they usually are and how delicious the result was. The recipe and the ingredients are for two portions, which some of us could find decent but a bit small. In any case, we were very happy with the final result. We also were happy to find out that none of the packaging (which there is a lot of) ends up in the trash. The cardboard box, insulation liner, bags, bottles and baskets are made of recycled materials which are entirely recyclable. We also appreciated the limited number of plastic containers inside the box seeing as some grocery delivery services use a lot of them. Overall, our first GoodFood experience was extremely positive, and we look forward to trying out the Fettuccine Primavera and the Spiced Beef & Bean Arepas (a few days after this article was finished we tried the Primavera and it was delicious. See finished plate above). Their service is a great option for those of us who want to eat well without spending hours in the kitchen every night but still enjoy cooking a nice meal after a long day’s work.